International Education provides opportunities for students to participate in cultural activities, experience cross-cultural connections, and enrich international understanding. 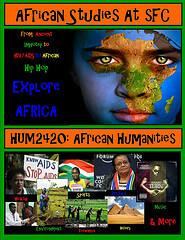 Study abroad is an ideal way for students to increase global awareness, earn academic credit, and have a great time. 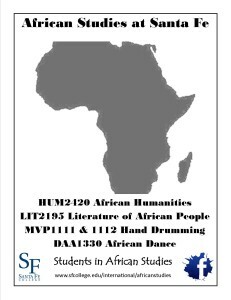 There are a wide range of programs and scholarships available to SF students who are interested in pursuing African Studies abroad. 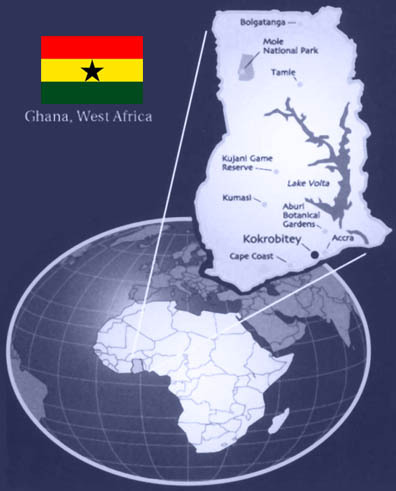 Santa Fe hosts an eleven-day study abroad program in Ghana that provides students with several opportunities to participate in cultural and ecological activities while earning college credit. 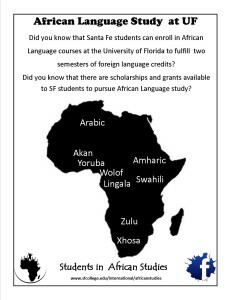 For more information, visit the Office for International Education at Santa Fe. 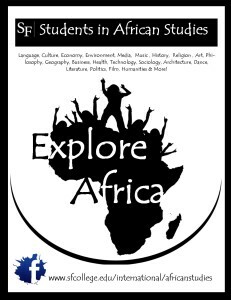 The Center for International Studies at the University of Florida offers several highly competitive study abroad programs in Tanzania, Morocco, South Africa, Swaziland and Botswana. Some of the programs include intensive language study that meets foreign language requirements for degree-seeking students.